Knives from manufacturers including Swann Morton and Olfa. 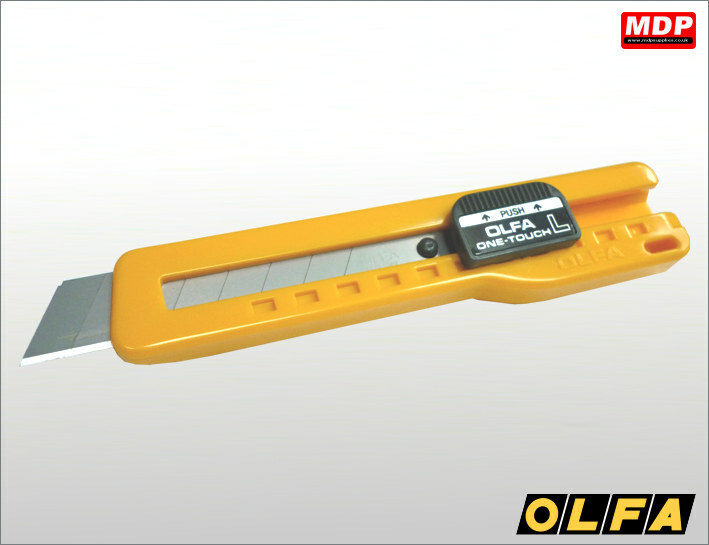 For replacement blades click here. Price for 1 - 4 £2.19 ea. Price for 10+ £1.99 ea. 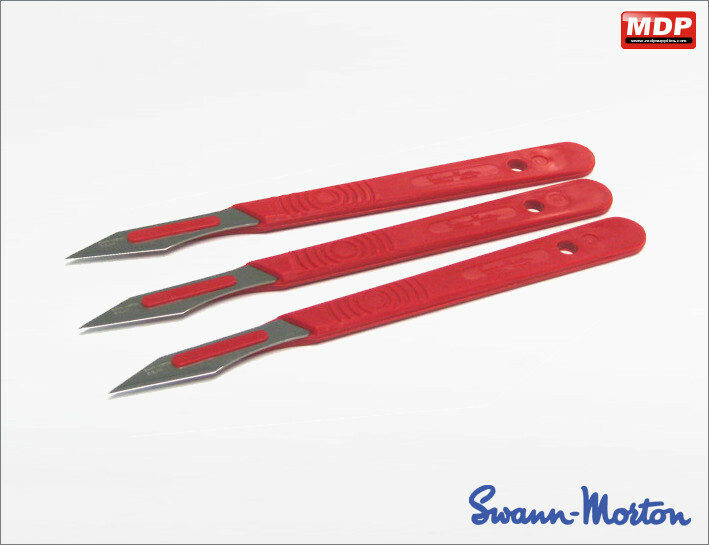 Soft grip 10mm art knife with 3 additional blades and safety cap. Price for 1 - 4 £2.39 ea. Price for 5 - 9 £2.29 ea. Price for 10+ £2.19 ea. Made in one-piece ABS, with a tractor-lock. Comes with 18mm blade. Price for 1 - 4 £5.49 ea. Price for 5 - 9 £5.29 ea. Price for 10+ £5.09 ea. 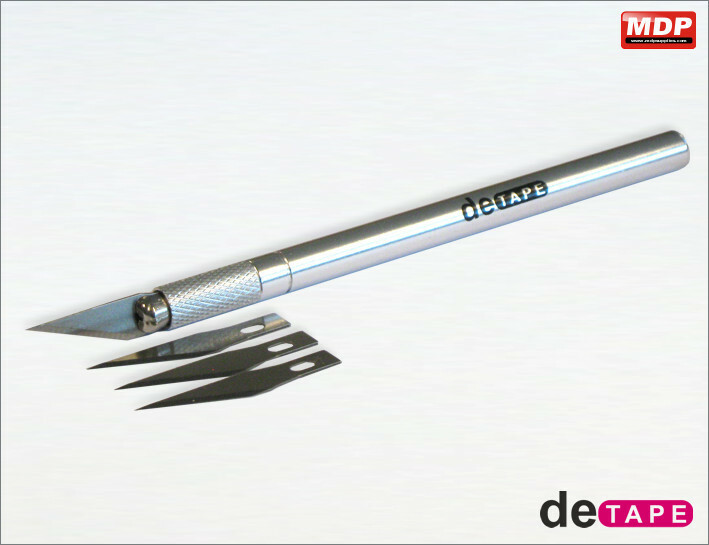 Knife with metal body, blade break-off clip and slide lock with 9mm blade. Knife with a Plastomer handle and brass blade lock screw. Comes with 18mm blade. Price for 1 - 4 £6.59 ea. Price for 5 - 9 £6.39 ea. 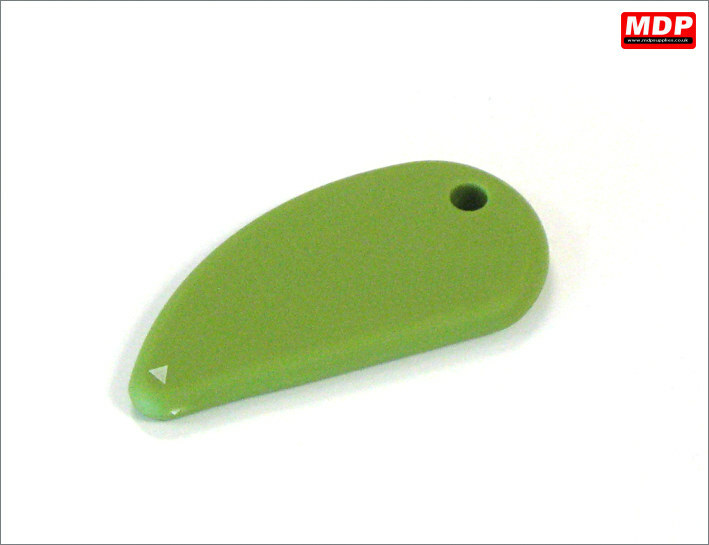 Price for 10+ £6.19 ea. 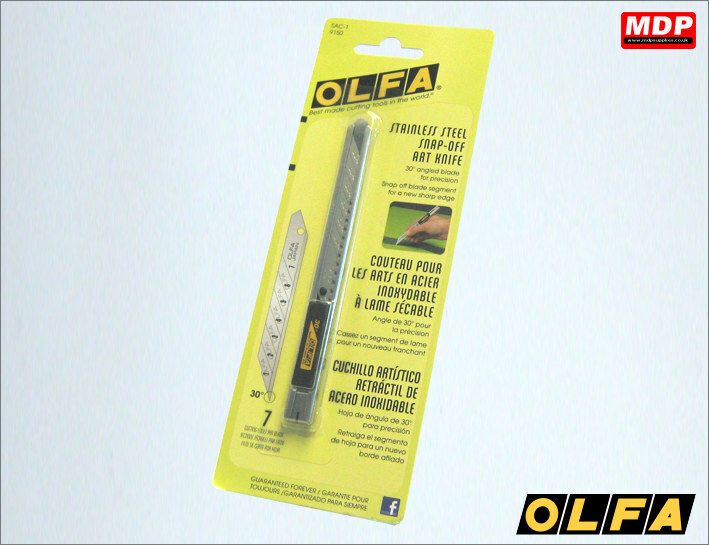 Knife with elastomeric grip, blade break-off clip and auto lock with 9mm Excel blade. Pack of 3 disposable knives. 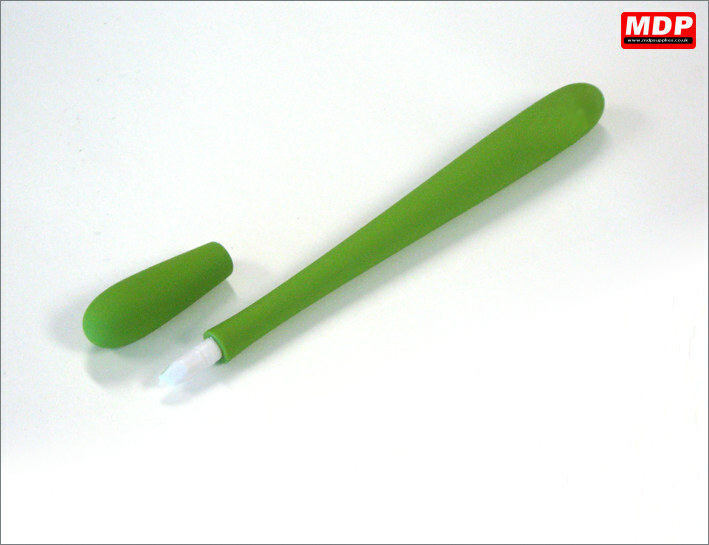 Strong nylon handle with a surgical quality blade and guard. 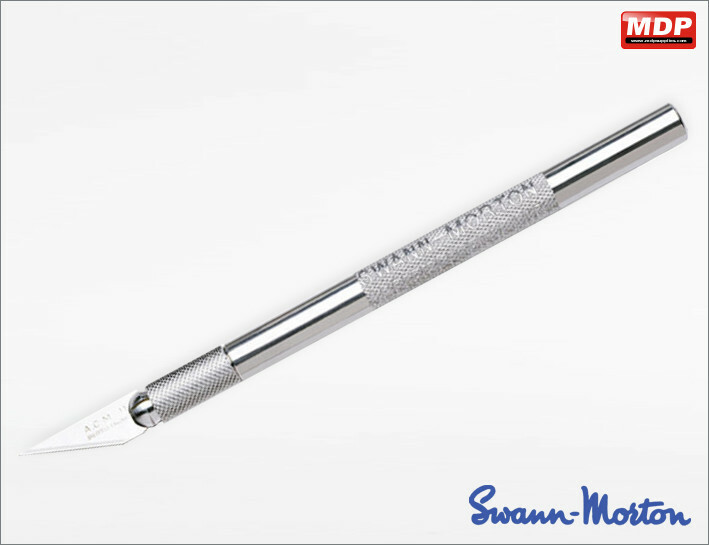 Manufactured in the UK by Swann-Morton. Price for 1 - 4 £2.75 ea. Price for 5 - 9 £2.65 ea. Price for 10+ £2.55 ea. 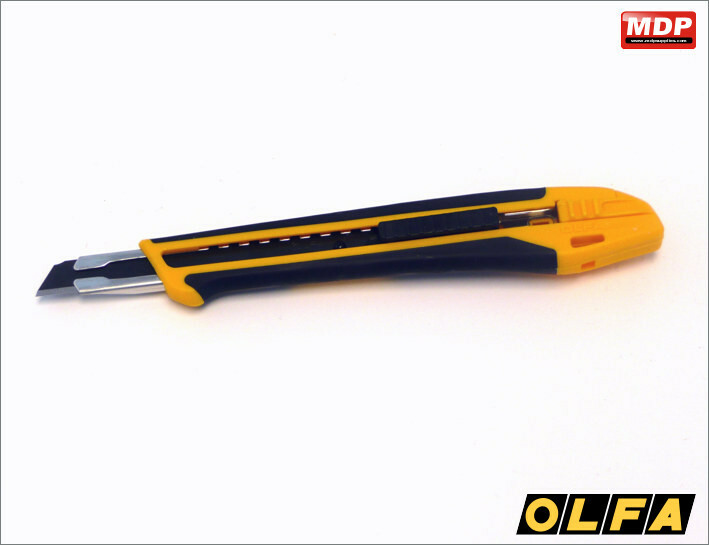 Heavy duty knife with a lightweight yet strong nylon handle. 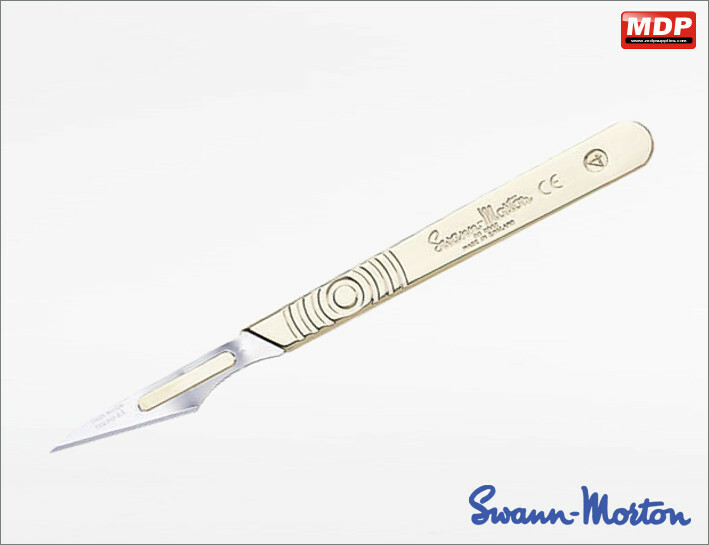 Fitted with a surgical quality blade and guard. Price for 1 - 4 £0.95 ea. Price for 5 - 9 £0.85 ea. Price for 10+ £0.75 ea. 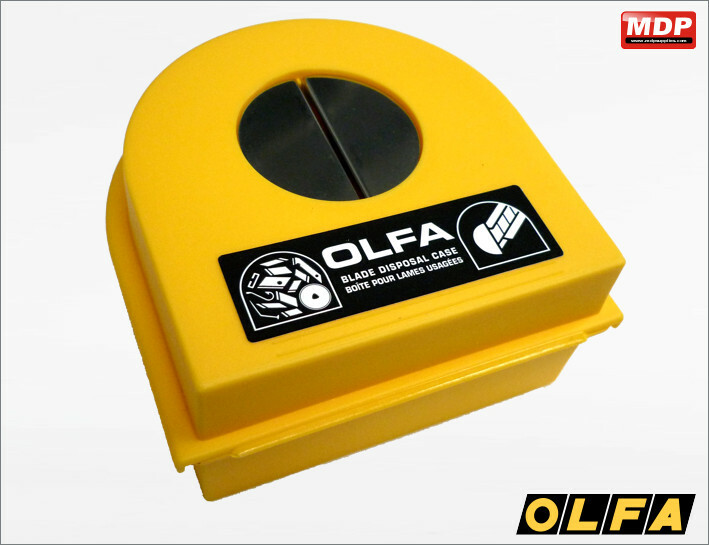 Retractable knife with 2 blades. Fitted with a surgical quality blade and guard. Price for 1 - 4 £4.49 ea. Price for 5 - 9 £4.39 ea. Price for 10+ £4.29 ea. Professional metal shafted scapel. 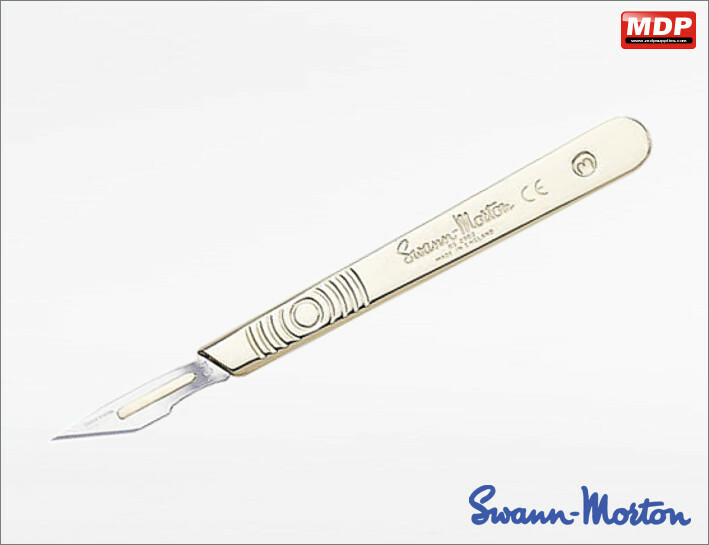 Fitted with a surgical quality blade and guard. 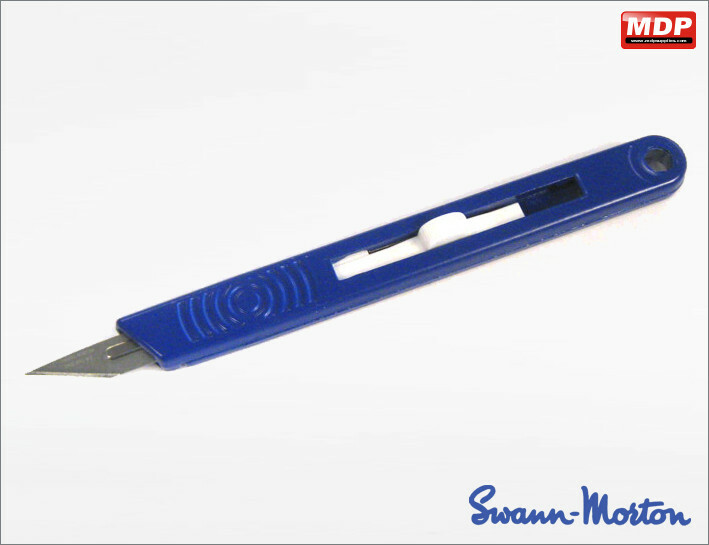 Swann Morton No 3 metal handle for smaller fitment blades. Price for 5 - 9 £3.09 ea. Price for 10+ £2.95 ea. 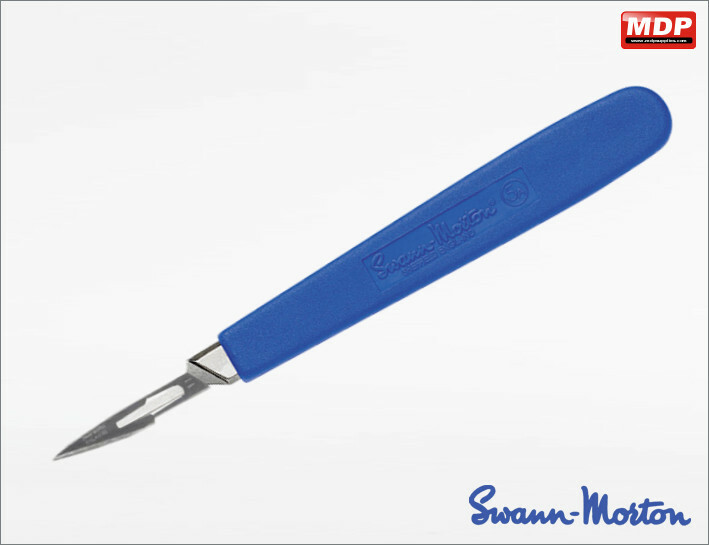 Swann Morton No 4 metal handle for larger fitment blades. Price for 1 - 4 £6.20 ea. Price for 5 - 9 £5.95 ea. 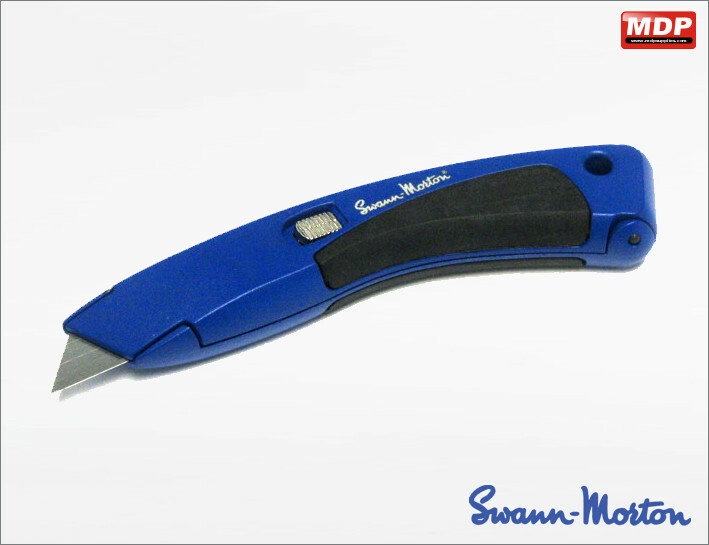 Large heavy duty retractable trimming knife with extremely sharp Swann Morton blade. 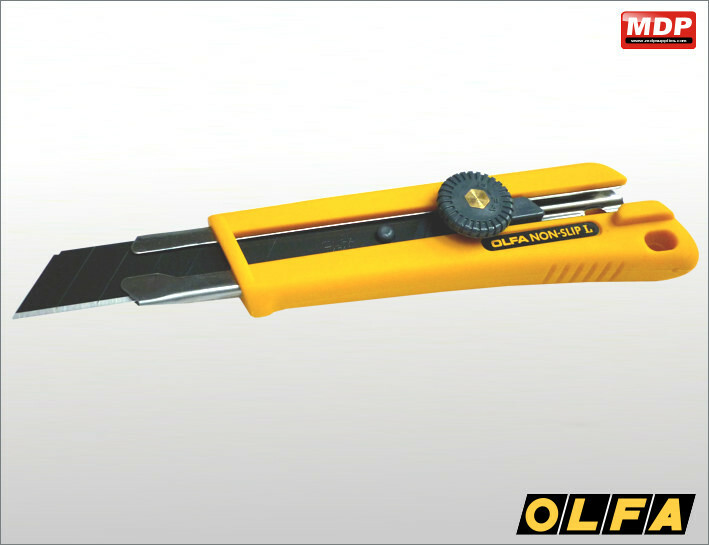 Suitable for cutting Correx corrugated plastics and other tough substrates. Price for 5 - 9 £8.45 ea. 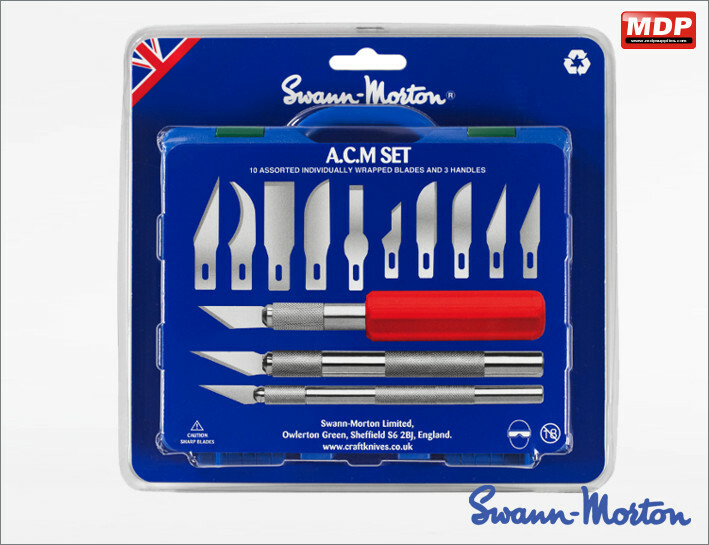 The ACM tool set is a complete set of 3 handles and 13 blades. 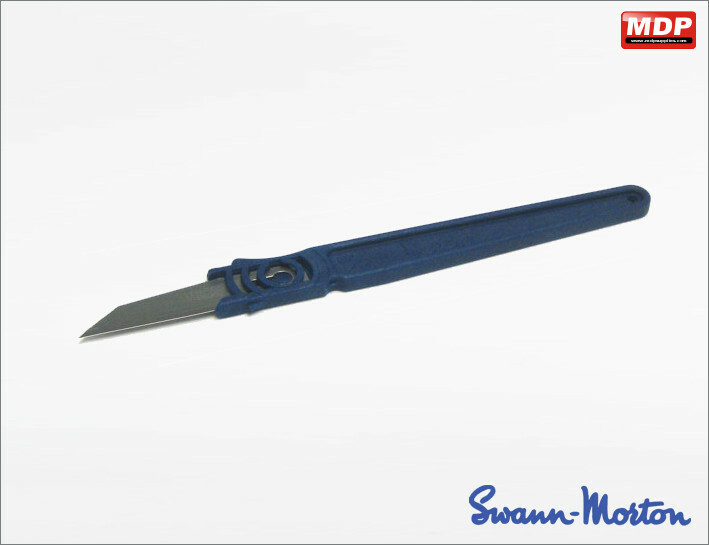 There are 10 blade shapes, all manufactured by Swann Morton, giving you ability to select the right blade for the job. 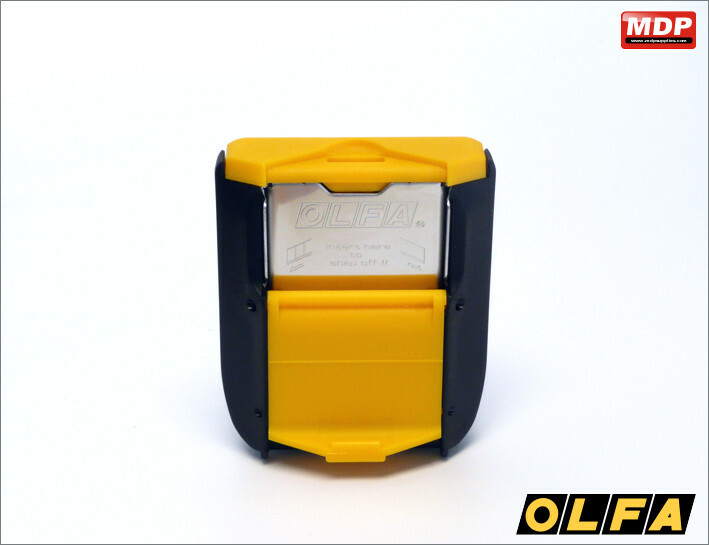 Comes in a plastic case to keep all the tools together safely and conveniently. Price for 1 - 4 £18.95 ea. Price for 5 - 9 £18.45 ea. Price for 10+ £17.95 ea. 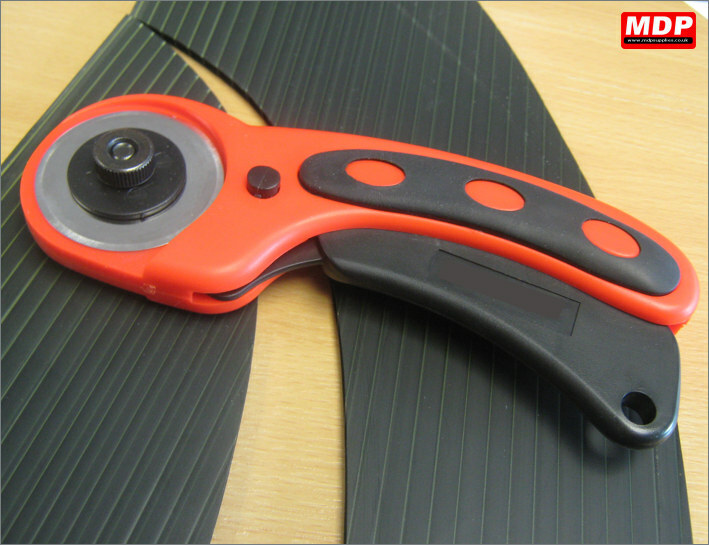 Double headed blade coro plastic cutter. 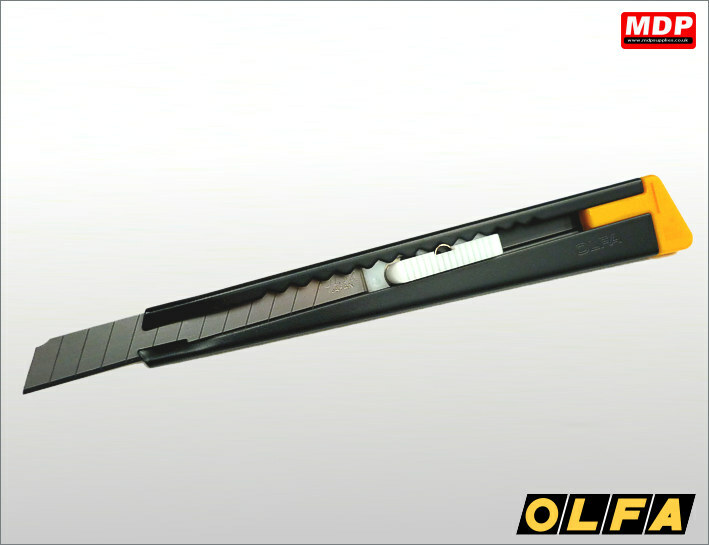 Cut effortlessly down the flutes of 4mm corrugated plastic. 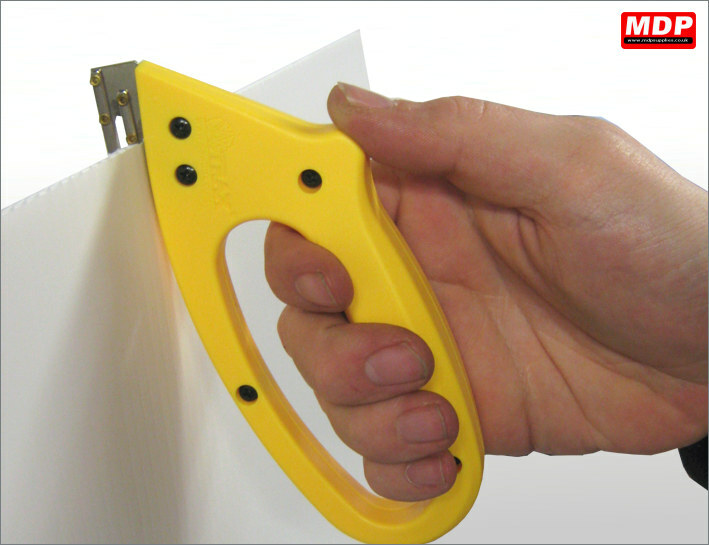 The double headed blade will slice through corrugated plastic with ease or use a single head of the blade to cut just one side of the corrugation to allow for easy bending of a sheet. Replacement blades are available in the blades section. Price for 1 - 4 £14.95 ea. Price for 5 - 9 £14.75 ea. Price for 10+ £14.55 ea. 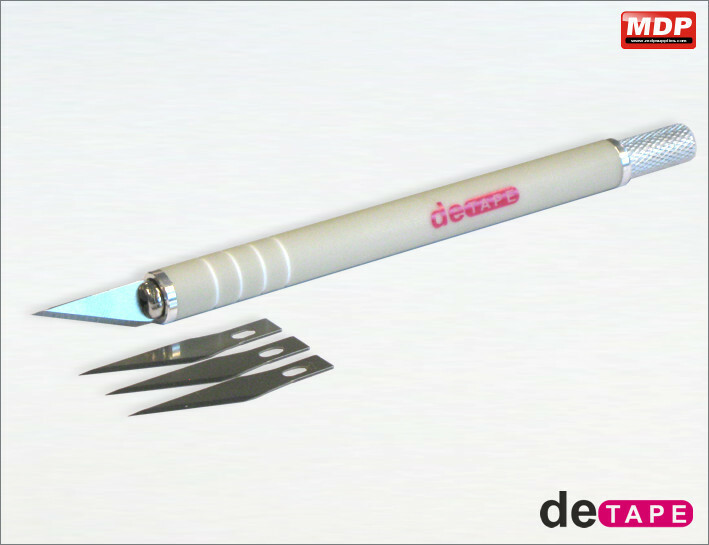 Razor sharp 45mm diametre rotary cutter. 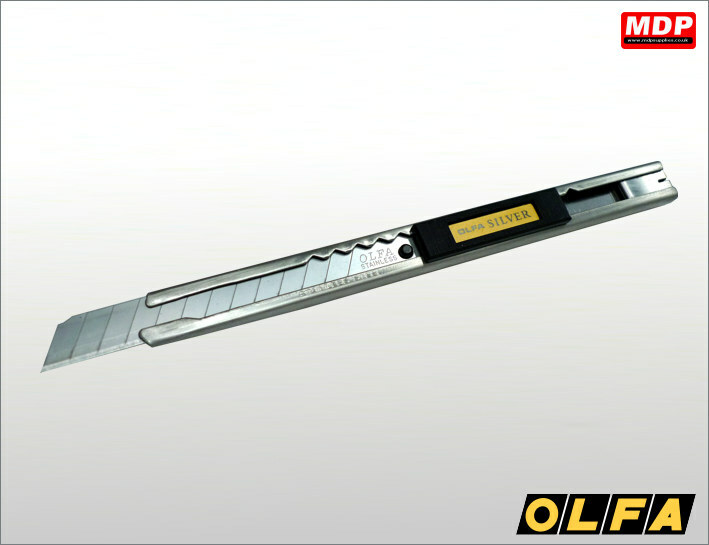 Blade with safety mechanism. 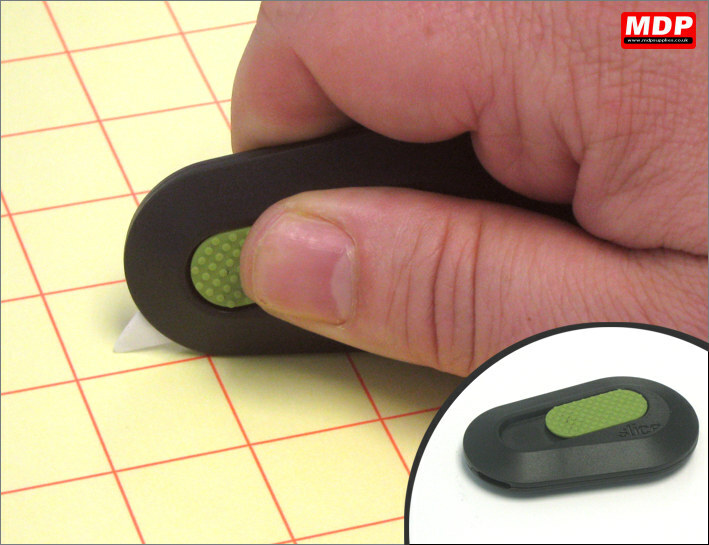 Ideal for making curvy cuts in corrugated plastic or card. Price for 5 - 9 £3.49 ea. 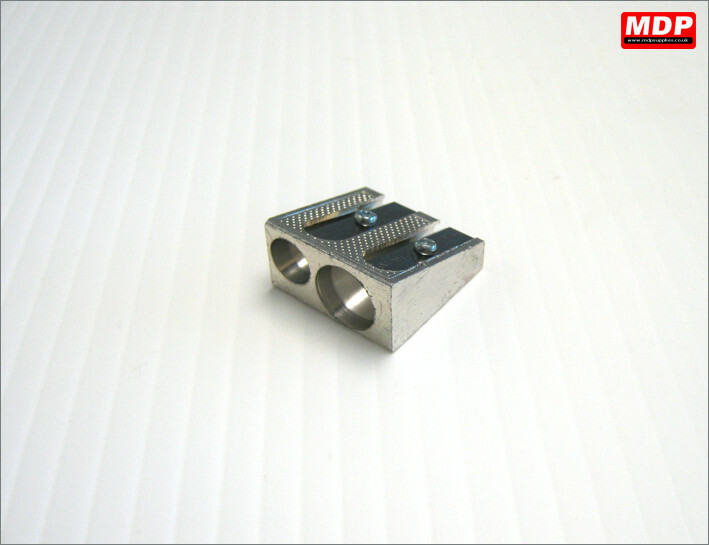 Metal pencil sharpener with double bore.